Love was an American rock group of the late 1960s and early 1970s. 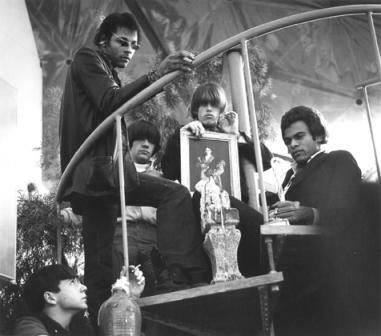 They were led by singer, songwriter and guitarist Arthur Lee and the group's second songwriter, guitarist Bryan MacLean. One of the first racially diverse American pop bands, their music reflected different influences, combining elements of rock and roll, garage rock, folk and psychedelia.